Arthur Harry Church was a botanist who began to illustrate to demonstrate his findings. Born 24th March 1865 in Plymouth, Devon. Education and Academic Employment: he studied Botany at University College, Aberystwyth and graduated with an (external) first class degree from London University (in 1891). This enabled him to win science scholarship to Jesus College at Oxford University. He came up to Oxford in 1891 and spent the rest of his life participating in scholarship and the academic life of Oxford. In 1894 he graduated with a first class degree from Oxford University. In the same year he was appointed Demonstrator in Botany and took the London Degree of D.Sc. From 1908 to 1930 when he retired he held the title of Lecturer in Botany with the University. Church focused on morphology and the structure of plants. 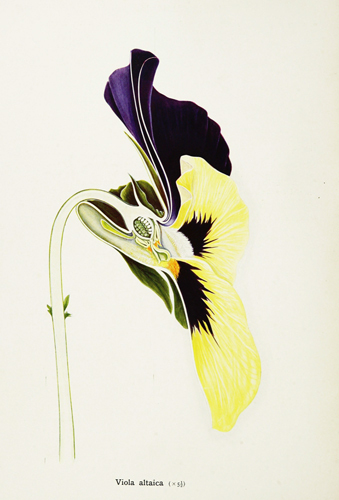 His drawings of the morphology of flowers and plants are considered to be some of the finest in the UK. He became very knowledgeable about how flowers systems worked - but never travelled as other botanists did to see plants in their natural habitats. 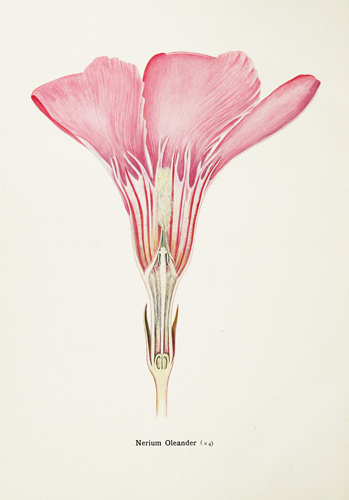 Church's particular skill was in developing techniques for examination of flowers and plants in ways which revealed all their inner structures while leaving all the parts with crisp sharp edges in his illustrations of cross-sections and diagrams. He was also meticulous in the way he painted and developed techniques which allowed him to maintain precision in his illustrations as well as his dissections. In 1908 he published Part 1 of Types of Floral Mechanism which was intended to be the first volume of an account of "The Hundred Best Flowers" as a way of providing a general explanation of floral morphology. It comprises large coloured and uncoloured illustrations of 12 different types of flowers and associated text. This first part deals with the flowering plants of winter and early spring (January to April). It was intended that there would be three more parts covering the later months of the year. However his insistence on the quality of the reproduction of the illustrations - and associated costs - meant that no further volumes were published. His "Botanical Memoirs" contained most of what he wanted to say about plants in print. These were essentially summaries of the various materials he used in lectures. They were issued in 15 volumes by Oxford University Press between 1919 and 1925. He married and had three daughters - each of which had the name of a plant in flower at the time of her birth as her second name. He died in Oxford on 24th April 1937 aged 72. His obituary goes some way to explain why he developed the ideas he had and why his work was neglected for a long time. It also explains in detail the history behind each of his publications and their timing. The Arthur Harry Church Drawings Collection is the largest collection of the work of Arthur Harry Church and includes 773 original watercolour drawings. They are part of the Permanent Collection of the Natural History Museum. ​The original intention was that they would be used - with associated text - in the remaining volumes of his book on floral mechanisms.. 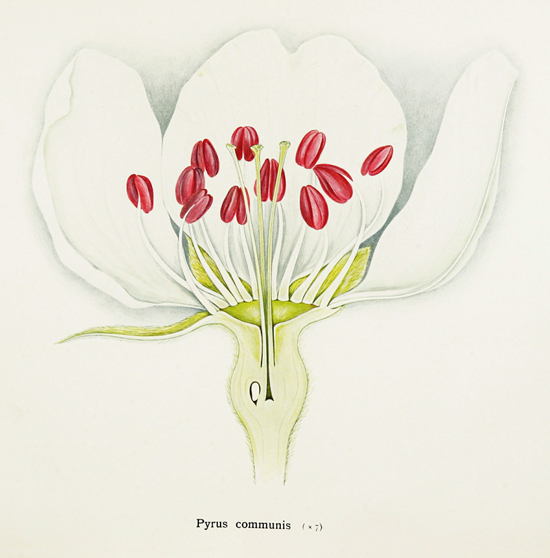 However his portfolio of botanical illustrations of the internal structures and morphology of flowers lay unnoticed in the Museum of Natural History for several decades prior to the publication of this book by Professor David Mabberly in 2000. This stunning book uses previously unpublished material from the Library of the Natural History Museum to reveal the fascinating story of Church's life and work and the images he created in his lifetime. This essay was written by Dianne Sutherland SBA as an assignment for her Diploma Course in Botanial Illustration with the Society of Botanical Artists.